My sipping the Long Meadow Ranch Sauvignon Blanc during the nationwide Polar Vortex freeze had very little to do me taunting my frozen friends. Ok, maybe it had something to do with the fact that I was in shorts and flip flips while you were in a parka, and your tears froze before they dripped down to your nose. However, it was mostly due to the fact that I am not a seasonal drinker. I happily drink white wine in winter and red wine in summer. In the end, my sipping this delicious white wine really had everything to do with the fact that for $19, the Long Meadow Ranch Sauvignon Blanc was darned good. The 2012 vintage marks the 8th bottling of Long Meadow Ranch Sauvignon Blanc. 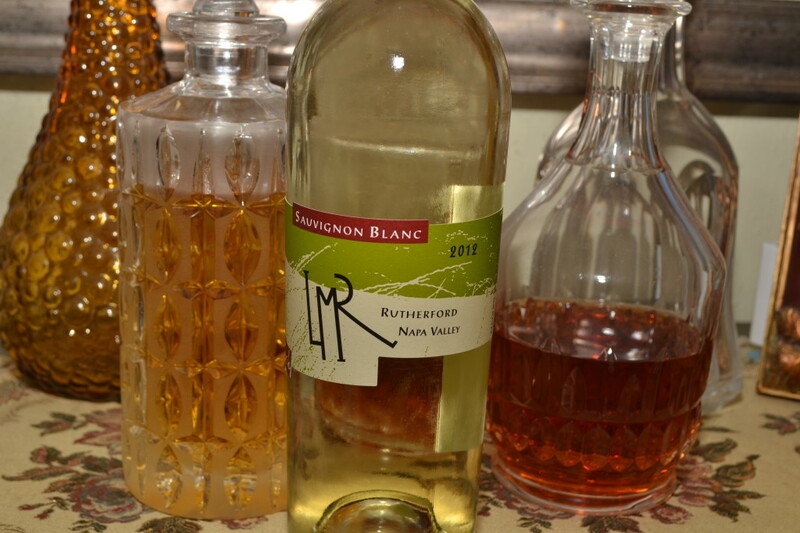 The fruit for this crisp white wine is from their Rutherford Estate vineyard. South of St Helena, and north of Yountville, the Rutherford AVA is smack in the middle of the Napa Valley wine region. More prominently known for it’s excellent Cabernet Sauvignon, Rutherford is home to some notable wine names, including Quintessa, Frog’s Leap, Mumm Napa Valley, St Supery and Cakebread, to name a few. On the Napa valley floor, on the Rutherford Estate, Long Meadow Ranch farms a total of 74 acres of Sauvignon Blanc, Merlot, and Cabernet Sauvingon vineyards. The Long Meadow Ranch vineyards are farmed using organic practices certified by California Certified Organic Farmers. In addition to wine, Long Meadow Ranch sells olive oil, grass fed beef, eggs, honey and heirloom fruits. 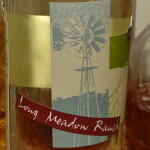 The color of the Long Meadow Ranch 2012 Sauvignon Blanc is a pale yellow, bright in the glass, with a medium viscosity. The aroma of grapefruit, lime, and a little salt is very refreshing. The palate is light bodied and crisp, with more lime than grapefruit, candied lime peel, and a little “zip” on the finish from the medium+ acidity. There is a slight smokiness on the finish of the Long Meadow Ranch Sauvignon Blanc 2012, and the length of it’s finish is moderate and enjoyable. The Long Meadow Ranch Sauvignon Blanc 2012 is definitely a white wine worth trying! Are you a fan of Sauvignon Blanc? Let me know your thoughts by leaving a comment below.